The Penderyn distillery, established in 2000, is located in the foothills of the Brecon Beacons and is owned by the Welsh Whisky Company. The scale of production started small, with their single, Faraday invented pot still, producing one cask per day. Additional stills have since been added. They have the world renowned Jim Swan as their master blender and consultant distiller. 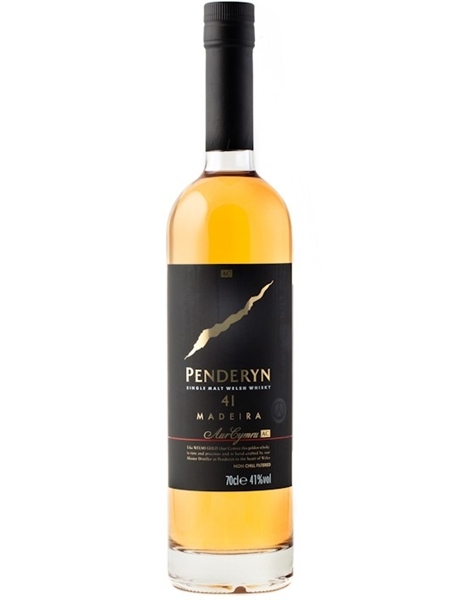 Penderyn 41 is very much their house style whisky - aged in bourbon casks and given their award winning madeira finish. Penderyn 41 is bottled at an unusual 41% ABV., which is incorporated into the brand. The distillery feel the lower alcohol level complements the madeira finish and allows the softness and freshness to be appreciated.